Some tips on how we are helping other groups save at renewal and maintain under 5% renewal rates year after year – Does your broker perform like this? 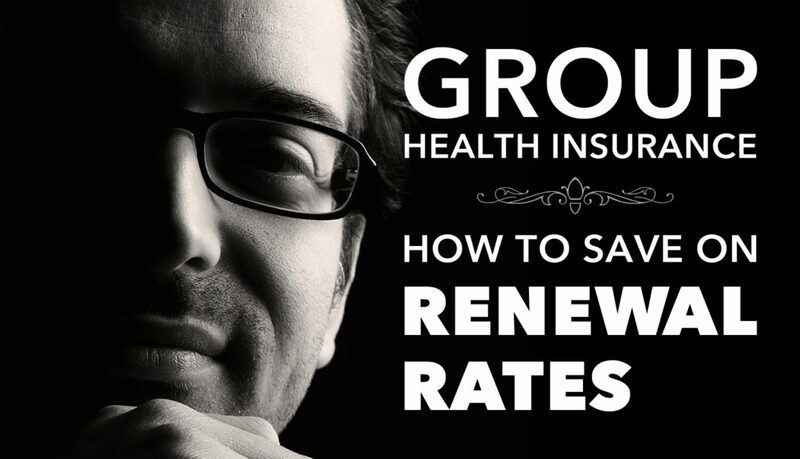 If not, get our free guide here: https://www.gninsurance.com/group/free-report-how-to-reduce-health-insurance-premiums/. Faced with an increase, we negotiated with their carrier to help them save at renewal. We also negotiated a 14-month policy year (meaning members get to pay the same rates for 14 months) to keep the same renewal date for their international and domestic group plans. Our carrier honored the 14 months renewal; dropped the renewal to 5.75% from 11.75% to compete with another of our carriers’ offer and this small group of ours saved $10K in annual premium! The last three large groups we acquired saved $400,000+, $360,000+, and $121,000+ annually. Consider having your broker increase your U.S. deductible while decreasing member’s overseas deductible to encourage overseas usage. Even if you are happy with your current broker or policy, give Pei a call at (480) 813-9100 for some more simple ways you can save at renewal and reduce your health insurance costs. Or get our free guide. You don’t even have to switch brokers. We’re happy to help. Hopefully doing so will cause you to spread the word if you know others wanting a better, long-term sustainable health plan. That’s what being a “Good Neighbor” is all about! 1 of our groups switched carriers – OUTCOME: 10K in annual premium saving and a better plan with a larger network as well a a locked in 14 month renewal (Example given above). A new client (This group’s loss ratio last year was over 200% due to unexpected major medical claims). They paid $468,648 in premium and had $1,000,000 in claims for 2016. Even with this 18.5% increase in rates, the group’s 2017 rates are now lower than the rates they would have paid in 2016 had they stayed with their old broker and plan. We can only imagine the 2017 rates for this group had they not switched to Good Neighbor. 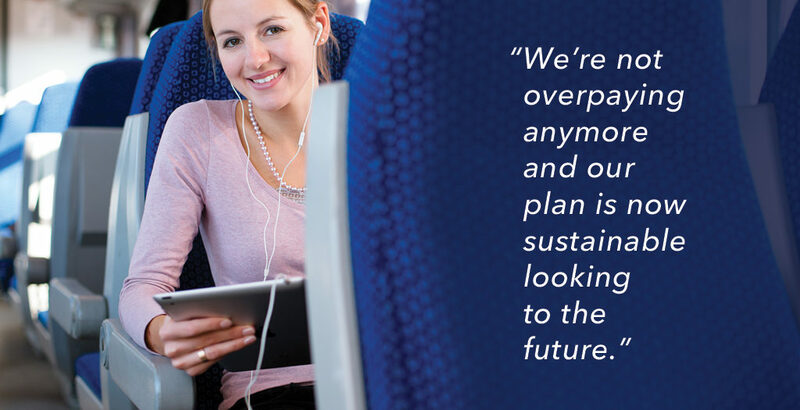 To address sustainability and to avoid another high renewal increase, we switched the group to a better carrier and a customized plan. We are also advising this group how to modify their internal guidelines with incentives for members to stay overseas for medical treatment whenever possible. They should be a good performer next year and are very happy to finally have answers and a good, sustainable plan for the future. “This is the part of the year that I always dread (renewal), but you have made it work well. Many thanks to you and your team for making a difficult process so easy! You have been a joy to work with now and throughout this past year. “Thank you for being so available and proactive during this process. 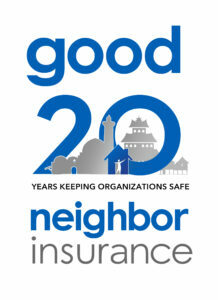 It has been a definite ‘value added.’ We are thankful for Good Neighbor. GNI proactively sends out monthly and quarterly “touch-base” emails to each of our groups, making sure their plans are working for them and solving issues before they get out-of-hand or become a real problem. Anytime a benefit and service aren’t meeting the group’s needs, we take note of these things so we can look at them at renewal time. A good agent must be aware of the members’ medical behavior pattern and the organization’s culture to design a cost effective plan for the group. We try to listen throughout the plan year so we can advocate for them at renewal time. At renewal time, our goal is to make sure our groups are in a secure position by providing them with the best plan design and premium possible that meet their members’ budget and benefit needs. And we negotiate hard on their behalf, using our multiple carrier options and size/experience to get results. 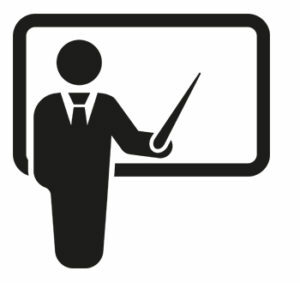 We encourage our groups on how-to train their members to use their benefits in the best, most efficient and cost-effective ways possible. This saves the member and the organization (at renewal). We recommend certain incentives both in the plan and internally so members have reasons to use their benefits efficiently. Over the years, we have seen much better results among these groups. And less member frustration or complaints. As a result, in 2016, 30% of these groups who stayed with their carriers received either a 0% increase or a reduction in rate. 47.7% of these groups received a 5% or lower renewal increases. Nearly 100% (97.8%) of these group renewal at trend of 9% or lower in 2016. These excellent renewal numbers are results of well-run, sustainable plans. Each year, we try to make our groups’ plans better than the year before. And if, for whatever reasons, high claims or drastic demographic changes happen to a group, they are assured GNI is their advocate and experienced in researching other options on their behalf. For years, this group had a high deductible plan and only 70% coinsurance in and outside of USA. This translates to a huge amount of TOTAL COST SHARE their members were responsible for. The organization set up a “deductible-refund” internally to help members offset their costs. They wanted to continue this (good/strategic) plan design, but they needed a plan with better provisions and a lower premium to maintain their reserve for funding. We got multiple quotes for them, ultimately narrowing down the choice to one plan that provided $0 deductible overseas and the same high deductible as the members were used to in the USA. The coinsurance for overseas and USA with this plan was 100%. Essentially, if members stay overseas for care, all of their eligible care will be covered at 100%. Without reimbursement by the organization. With this new offer, the organization only needs to think about refunding members for their deductible in the USA. This translated to better benefits, much less out-of-pocket for their members, and a drastic decrease in costs to the organization. OUTCOME: Their new plan saves the company $109K in annual premium along with new enhanced benefits in both deductible and co-insurance. The Business Manager of an organization needed an insurance agent that could research and negotiate for his members with their carrier. He wasn’t happy with his agent’s lack of involvement throughout the policy year, but specifically at renewal time. The additional financial challenge and overseas claim process (due to their carrier not being able to provide direct billing) caused a lot of frustration from his members. GNI listened carefully and did a thorough assessment before modifying the group’s plan. Once we understood the group’s benefit and budget needs, we went to seven major carriers to request custom quotes. After several revisions (based on the top recommendations and dozens of phone calls and emails), our final recommendation was presented and accepted by the group. OUTCOME: GNI placed the group with a carrier that can and will direct bill at least 90% of all overseas claims. The new plan covers all eligible overseas claims at 100%; this means members have NO out-of-pocket cost for any eligible medical care when incurred overseas. In the past, members would need to pay $600 in deductible and 20% for all their overseas medical expenses. Deductible in the USA also dropped from 2000 to 1500 which means saving in out-of-pocket for members while in the USA. Think this group was happy with our experience and performance? This group of 27 on the policy started in 2016 with a much better plan and direct billing, WHILE saving of $67,000 in premium annually. A group with one agency handling both their domestic and international plan. The Business Manager asked us to get quotes from other carriers simply to meet his due diligence. We reached out to seven major U.S. and offshore carriers after assessing the groups needs/usage. The business manager was pleasantly surprised by the various plan and carrier options that were available to him since they were limited in choices with their domestic agent. After a few discussions, he recognized GNI’s deep understanding and capabilities dealing with international plans and networks; as well as where they were losing money. Also GNI’s excellent working relationship with these carriers could serve his workers and the organization well in ways that had reflected poorly on the organization in the past. His agent acknowledged this as well. GNI worked with both the agent and the organization. The agent kept the majority of the business and continued caring for the domestic side and other employee benefits plans, while the organization secured the 15 staff overseas an international group plan from GNI. OUTCOME: A plan with at least $2500 less in out-of-pocket cost to each member due to lower deductible and 100% wellness benefits including all screening exams, and hearing and vision included, and strong evacuation plan. Savings to this company equal $42,000 in annual premium for a better plan. 2.) Get competitive quotes and see if we can outperform your current plan’s performance. Our goal is to protect international organizations – Their staff’s health, but also their finances. So that they can continue to do the things that they went overseas to do in the first place. Without the hassles. And without ever-increasing costs. We promise we won’t waste your time. Check out more at https://www.gninsurance.com/group. If you call us, we also have a new UPDATED guide coming out soon with more advanced strategies and techniques that we use here in the GNI Group Department to help groups reduce their insurance costs and lower renewal rates. To get it, just give us a call so we can send it out as soon as it is published!